You'll notice a that your wallet is a bit heavier when you start shooting these 9mm Luger rounds from Tula. TulAmmo is sourced from eastern countries like Russia and uses wartime-proven methods of manufacturing and material selection in order to make ammunition as affordable and practical as possible. Components include non-reloadable steel casings which have non-corrosive Berdan primers attached at the core of their bases. 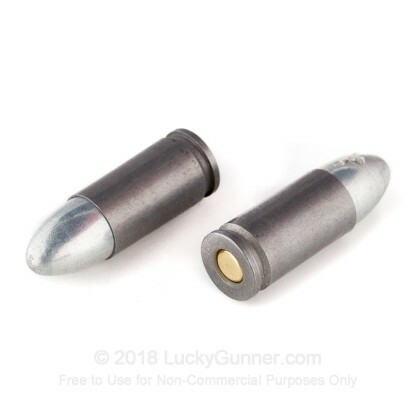 This specific load is topped off with a 115-grain full metal jacket (FMJ) projectile which stands out from traditional ball rounds due to the high concentration of zinc its jacket. The switch to zinc jackets introduces a self-lubricating factor to the ammunition which has a lower friction point than copper gilding metal and is less likely to shred or deform. These features contribute to less fouling, enhanced accuracy, and even more cost savings which get passed on to the shooters. 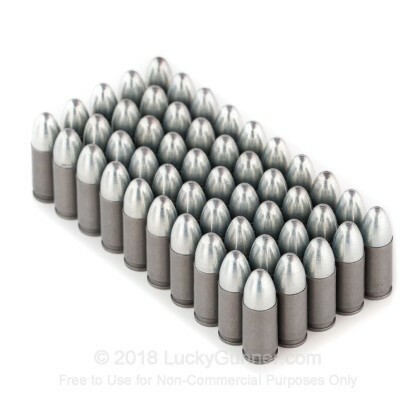 115 grains is a common weight rating for the 9x19mm caliber and matches the vast majority of range loads as well as some options that are advertised for concealed carry use. This 500-round case can be broken down into convenient 50-round boxes for range trips. The Tula factory in Russia has nearly a century and a half of experience manufacturing ammunition for their nation's military as well as those of their allies. That type of tenure gives them hardened insight and allows them to mass-produce inexpensive cartridges without sacrificing dependable function. 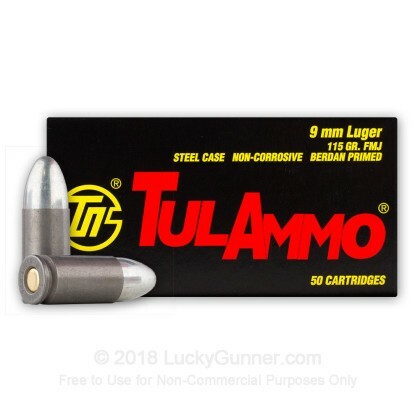 We don't have any reviews yet for this particular 9mm Luger (9x19) ammo from Tula Cartridge Works. 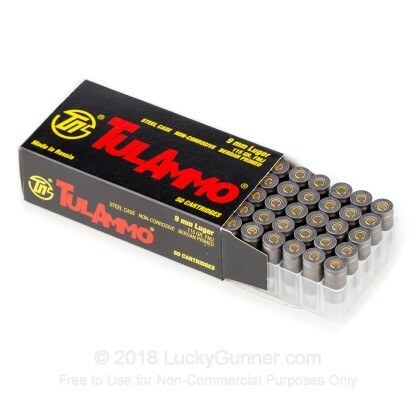 If you'd like to be the first to review this particular 9mm Luger (9x19) ammo from Tula Cartridge Works, fill out the form below. We also have this 9mm - 115 Grain FMJ - Tula - 50 Rounds ammo in stock in a smaller quantity.